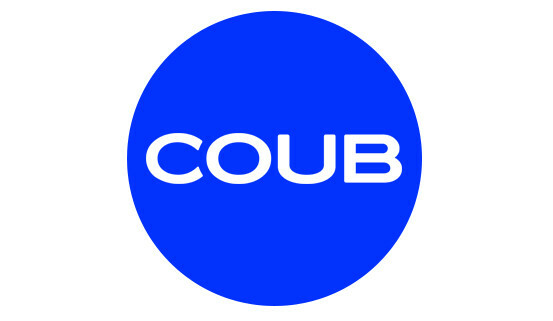 Coub, a service which allows allows users to create 10-second-long looping videos, has obtained $1 million in a Series A round from Phenomen Ventures and VentureBrothers, as first reported by EWDN. The company was founded last year by brothers Anton and Igor Gladkoborodov, who previously created Look At Me, a service described as an internet magazine about the creative industries. According to TechCrunch article from the beginning of June, the service has managed to go from basically no traffic at the beginning of this year to more than 1 million users per day, with much of the traffic coming from Russia. From here, the next step for the business is reportedly to branch out into the U.S. and other markets. I got in touch with one of co-founders of the service, Anton Gladkoborodov, and he tells me that they are up to 9,8 million unique visitors per month. He says that they are not making money on the service yet and that the funding from investors will be used to further develop the product and attract users. He says that they have a service designed to be viral and will monetize it once they have attracted a sufficient number of users. Gladkoborodov says that they are currently thinking of ways to monetize the service, but have not formalized anything and that it is too early to announce anything. In terms of competition, Vine and the video service from Instagram probably stand out. The animated gif has been around for decades, but Coub more closely mirrors the former 2 services in allowing for the inclusion of sound. Because the service allows users to create looped videos, it more closely resembles Vine, but all 3 of the services place limitations on the length of the videos (6 seconds for Vine, 15 for Instagram, and 10 for Coub). Anton tells me that although Vine is a similar service, Coub does not have direct competitors, as Coubs have more media value and Vine more social. Last year, Igor Gladkoborodov told The Atlantic that their custom uses Flash (HTML5 on mobile) and that they offers videos which are encoded in h.264 and can support sound, when necessary. Their site offers a number of examples of the videos, which only play music when centered in the screen and which can be created by uploading your or video or taking a clip from YouTube or Vimeo. Phenomen Ventures is a pretty major Russian investor, having $300 million to invest, according to their CrunchBase page. Prior to this latest investment in Coub, they backed Delivery Hero, Foodpanda, Virool, Fab (as part of Series C and D) rounds, Hailo, and OneTwoTrip. Virool is a video service which is a Russian-founded and San Francisco-based YCombinator graduate. The fund was established last year by Dmitry Falkovich and is now managed by Israeli Igal Weinstein. They are headquartered in Moscow, but have an additional office in Tel-Aviv. The other investor here is Brothers Ventures, which was also established last year and is managed by brothers David and Daniil Liberman.